This machine is a kinds of Double Layer Roll Forming Machine. And the up layer is for making glazed tile, and the down layer for making other type of roof panel, trapezoidal or corrugated type. glazed and corrugated roof sheet making machine. But the up layer must be glazed type. water wave and Glazed Double Deck Making Machine. It has many advantage: it can be more cheaper than two sets machines and it can save the space of your factory. 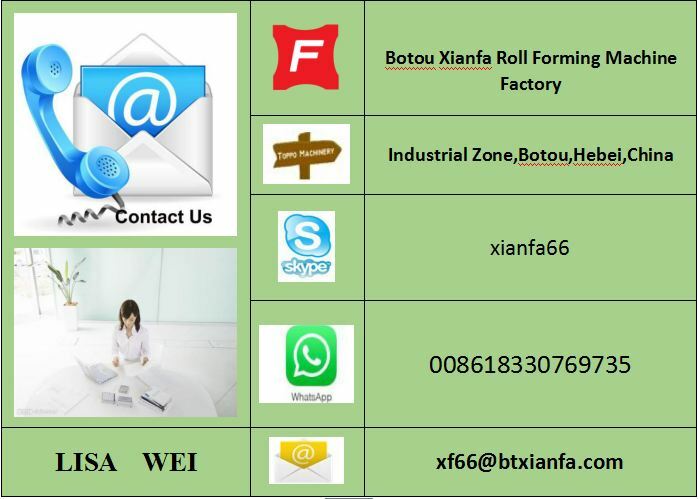 Customize Double Deck Roll Forming Machine. 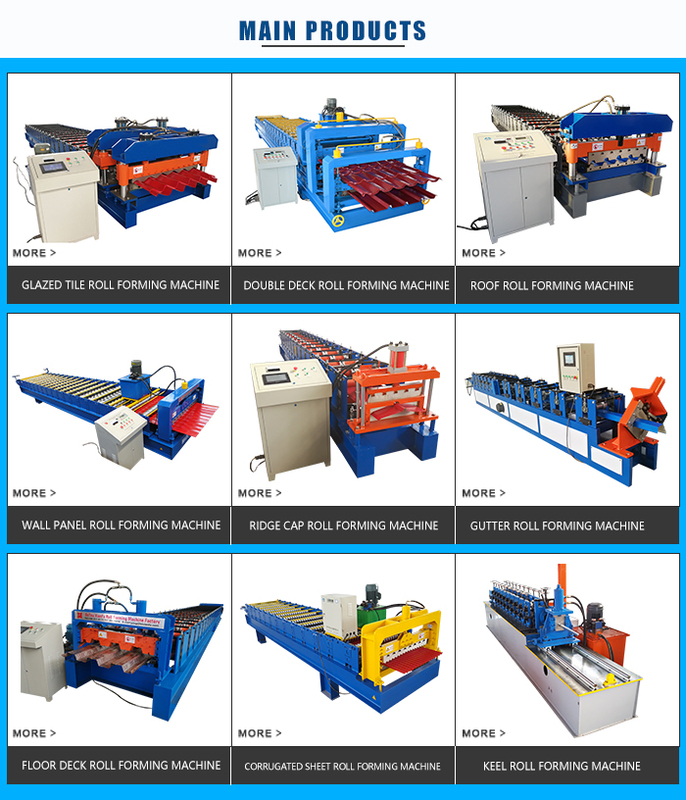 Looking for ideal Professional Roll Forming Machine Manufacturer & supplier ? We have a wide selection at great prices to help you get creative. 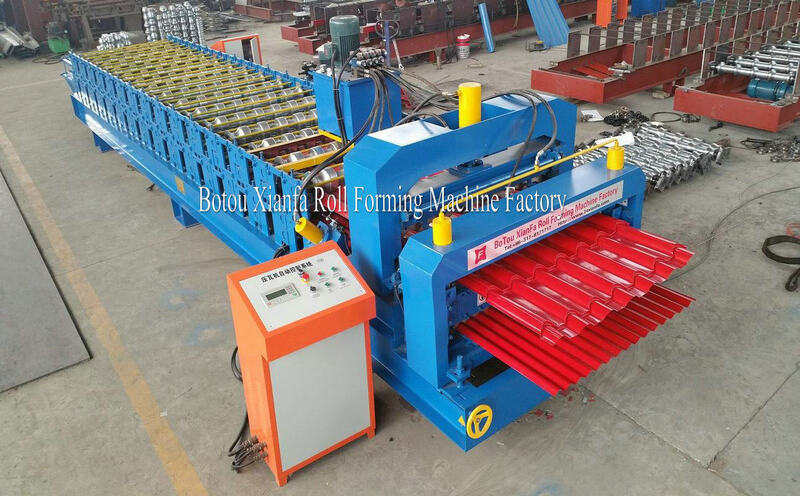 All the Steel Tile Double Layer Forming Machine are quality guaranteed. 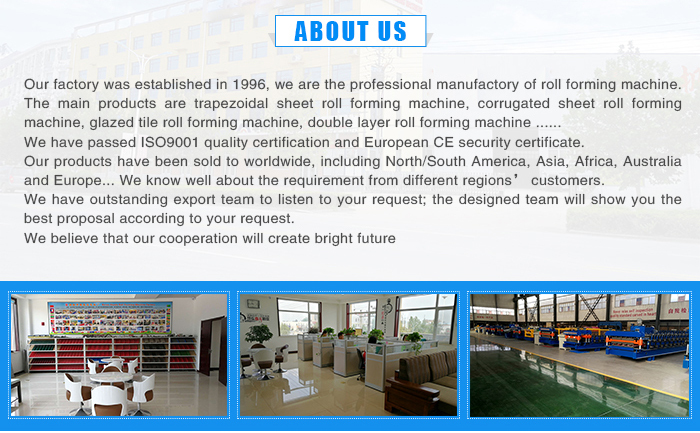 We are China Origin Factory of Glazed Corrugated Roof Sheet Making Machine. If you have any question, please feel free to contact us.